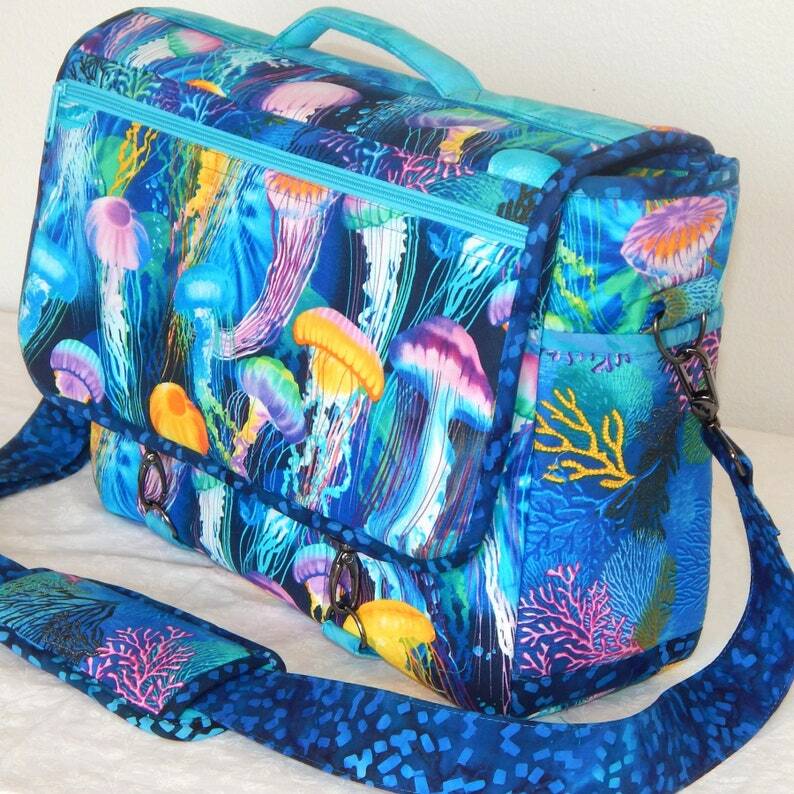 This fabulous messenger bag will go with you everywhere! Generously sized, with 7 pockets, zippered top, and a padded inner divider to securely store up to a 14" laptop or tablet. A removable, adjustable strap with a shoulder pad makes for easy carrying. Bag flap is secured using swivel hooks.